I can write a letter to my state representative which identifies a problems and proposes a solution. I can acknowledge competing views. I can cite examples from past or current events to clarify my position. I can support a position on a topic with evidence from my research. How can one person fuel a revolution? You are a thousand miles away and an ocean away from Africa. What could possibly be done from here? 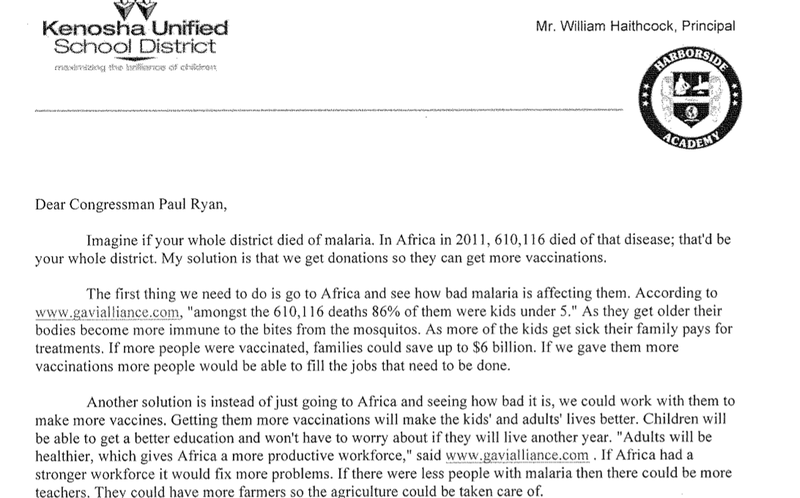 After researching three informational texts on a problem facing Africa, write a letter to your state representative in which you identify a problem and pose a solution. Support your position with evidence from your research.